mahnoor is using Smore newsletters to spread the word online. Canada's death rate is slowly growing since 1990, this is causing the populations growth rate to decline. Canada's birth rate is constantly changing, even thought the birth rate has dropped since the 70s, but it is predicted that more children will be born in the next decade. Canada's natural increase rate is slowly declining, the country is still growing but less and less each year. -Death rate rose from 6-11/100,000 people from 1990 to 2013. -By 2026 some 8 million Canadians one person in every five will be 65 years or older. -By 2060 seniors may number 10 million roughly 25 percent of the expectant population. I predict that population will grow very slightly as statistics Canada believes that the average annual population growth rate will stay the same from 2010-2060, they predict that Canada's population will grow by .9% for the next 60 years. I think that the birth rate will decline as you can see from the population pyramid below, people are having less and less children as the bottom part of the pyramid is slanted inwards. I believe that it will continue to slant thought-out the years. Maybe the death rate will be high when it is 2060 the majority of Canada's population (aged 45-65) will be 100, even thought there are many ways to make people have a longer life span but people have to die when they get old. It is said that Canada is slowly reaching the 5th stage of the demographic transition model, some sources believe that our pyramid will soon turn into a cup. - In 2010 the immigration rate was 7.5 immigrants per 1,000 populations. - In 2031, the migratory increase could account for more than 80% of Canada’s population growth, compared to about 67% currently. -Before 1986 most of the immigrants were Europeans but since 1989 most of the immigrants came from Asia. -Canada has had immigrants for hundreds of years, currently 97% of Canada population is made up of immigrants and their descents. since the 1990s net migration was the main source of population growth, it has been responsible for more than 50% of Canada's population. Canada is one of the worlds best counties to live in, that is the reason why we have approximately 80,000 people immigrate to Canada each year, but we still need a strong natural increase rate for us to for fill workforce demands and for us to have a strong economy.- By hearing these numbers and the difference between percentages we can infer that in 2060 the birth rates of immigrants will be very high and by that the population will increase too. In 2060 less people would be able to become a Canadian citizen- throughout the years Canada has changed the rules to immigration, they have made it harder and i believe that they will continue to do so in 2060. By 2060 immigration will be the main source of population growth- in the future our natural increase rate will only be approximately .9% even thought the amount of immigrants that we may be accepting will decline but the net migration rate will be higher than the natural increase rate. The push and pull factors are hard to predict, anything can happen in 60 years, Canada can become the best country of all and can also become the worst. where the new immigrants come from is also unpredictable. In Canada there are 3 groups of aboriginals, the first nations, Inuit, and the metis. Since contact with the Europeans, historians believe there were between 350,000-500,000 aboriginals, but by the time it was 1867 it was thought that there were only 100,000-125,000 first nations, 10,000 metis, and 2,000 Inuit left because of diseases, starvation and warfare with the Europeans. Currently there are approximately 615 first nation communities, 8 metis settlements, and 53 Inuit communities, equivalent to 4.3% of the general population. 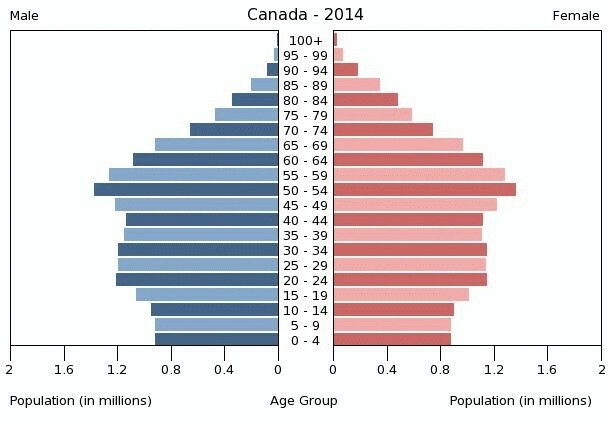 Today, their population is growing faster than ever, from 2006-2011 people saw an increase of 20.1%, not only are they growing faster than the general population their average population age is also a lot younger than us too; their average population age is 27.7 whereas our average is 40. in Canada there are 10s of thousands of hectors of reserve lands for the first nations of Canada. 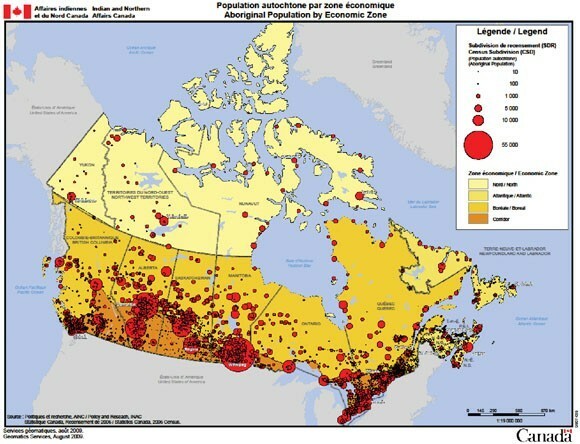 The majority of the aboriginal population and lands are located in Ontario and the 4 western provinces, approximately 60% of that population lives in British Columbia, most reserves are in remote areas but the aboriginals enjoy living in more urban areas, so they leave their reserves, but most aboriginals from Quebec enjoy staying in their reserves. In 2060 their population will increase dramatically- currently population growth rate is about 20% if this continues by 2031 their population may include 2.2 million people, if this continues their population might just reach 3 million by 2060. They are the sandals, their population will double if the Canadian government doesn't do anything about their poverty. If Canada does something about their current situation they may be more connected to the general population- if this does happen then they might be able to sell their reserve lands and make some money, be connected with job opportunities and education for the kids, if this happens then their population would stop growing so dramatically. I think it's pretty obvious that Canada in 2060 is going to be way different. In 2060 Canada’s demographics, immigration and aboriginals will be very different to what it is today. 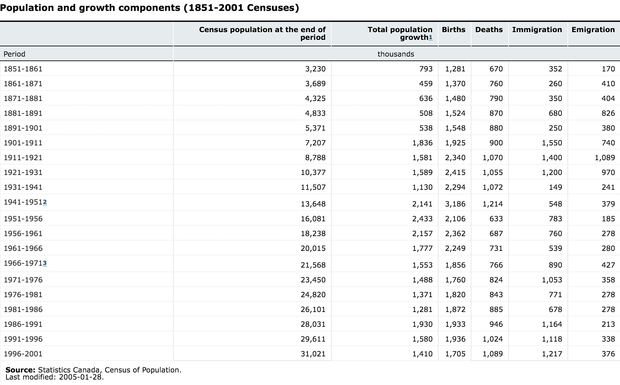 In 2060 Canada’s population will grow very slightly, the birth rate will decline, and the death rate will increase. According to statistics Canada, Canada’s population will grow by .9% for the next 60 years, beginning from 2010 till 2060. In 2060 we will be accepting less immigrants then we are now, Canada has change the rules to immigration and has made it harder for many people to immigrate to Canada, I believe that they will continue to do so in 2060. Currently First Nations are in poverty if the Canadian government doesn’t do anything about it, it will continue, their population will soon double, if the Canadian government ends up giving the reserve lands to the First Nations population then they will stop suffering, people will have jobs and kids will have their needed education. The jobs opportunities will decrease as the expectations are getting higher and will be getting even higher in coming years, technology will be much advanced, the countries economy is still unpredictable. Canada is constantly changing, currently we have slightly growing population, a well amount of immigrants; enough to help population growth, and sadly we have thousands of First Natioins that are in poverty. But what will our future look like? I predict that our natural increase rate will be so little, we will have less immigrants due to immigration rules, and our aboriginals will double in population. anything can happen in the future, and what we do today can be a good thing or it can also be a bad thing for Canada's future.